It was 50 years ago today (well perhaps not exactly today) – but it was 50 years ago when the St Pepper’s album arrived, bringing us incredible music. Michael gives his own tribute to the album with his version of ‘Getting Better’. 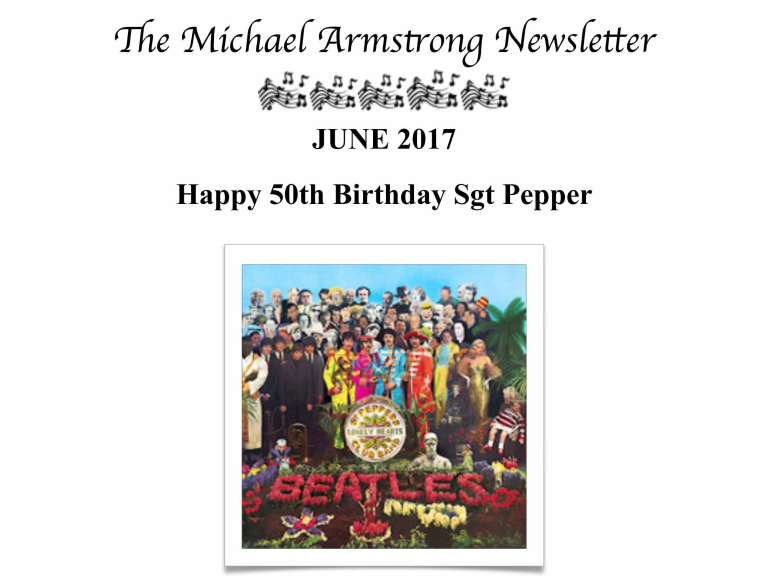 The link to hear it is in the newsletter – BUT if you wish to receive your own MP3 file – subscribe to his VIP newsletter at www.michaelarmstrongmusic.co.uk and he will send you the track..